Featuring vintage-style paddle keys, tapered tuning machines are wider at the top than the bottom, forcing the string windings downward and keeping them tight for increased sustain and enhancing tuning stability. Medium-jumbo frets make it easier to achieve wide, expressive bends that add your personal touch to your music. 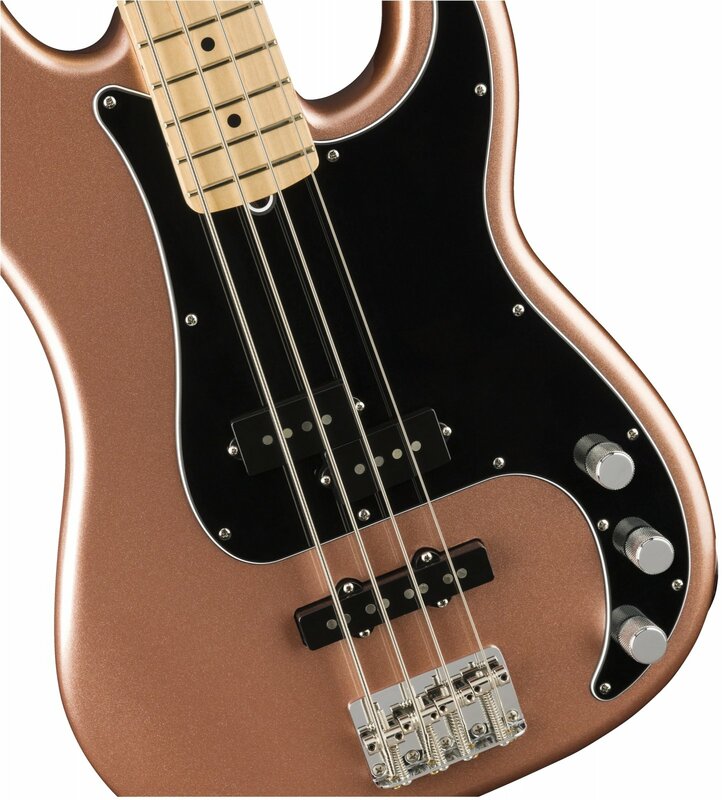 This model features a four-saddle bridge for solid tuning stability, precise intonation and increased sustain.